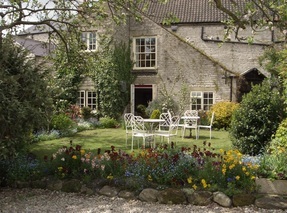 Bramwood Guest House near the centre of Pickering, UK. Helene and Richard look forward to welcoming you to Bramwood Guest House where we offer the traditional English B&B experience with cosy bedrooms and a hearty breakfast. The Guest House is conveniently located in the centre of Pickering on a quiet side road and provides an ideal base to explore this beautiful part of North Yorkshire. 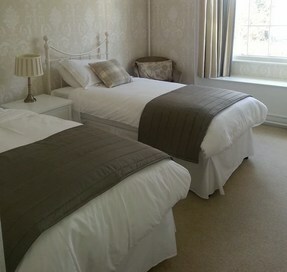 We have six individually decorated double rooms, one twin room and two single rooms all of which are ensuite. All of our rooms have flat screen TV’s, hospitality trays and complimentary toiletries from H2K of Harrogate. Free Wifi is available throughout the property. On your arrival we will serve tea/coffee and homemade cake or buttered scones in our cosy lounge or if you prefer in our peaceful garden. Whenever possible we source all of our breakfast ingredients locally. We serve locally produced bacon, eggs and handmade sausages supplied by Hann’s butchers at the end of the road. Tomatoes, Mushrooms and Kippers are supplied by Taylors of Pickering, Rosebud Preserves of Masham supply a wide range of Jams and Marmalade. If the traditional ‘full english’ is not to your liking then we offer a wide range of daily specials.